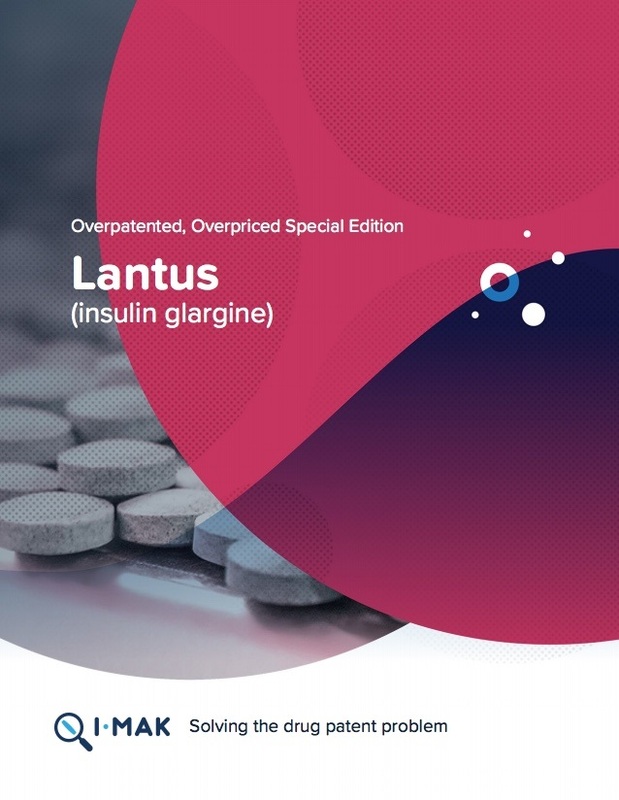 The Initiative for Medicine, Access & Knowledge (I-MAK) released a new report last week, “Overpatented, Overpriced: Lantus Special Edition,” which details evidence that the drug company Sanofi is pursuing an “overpatenting strategy” in the United States for its insulin drug Lantus, used to treat diabetes. “Sanofi has filed 74 patents on Lantus,” which “has enabled Sanofi to raise prices unchecked,” according to an I-MAK press release. Due to these price-hikes, “the average price of the drug for Medicare beneficiaries [in the US] has nearly doubled from $1,284 in 2012 to $2,431 in 2016,” with “total spending on the drug by Medicare and Medicaid” skyrocketing “to over $22 billion dollars, a 132% increase from 2012 to 2016,” the release states. “Drugmakers often argue that additional patent applications filed prior to regulatory approval incentivize companies to invest in the development of a new drug, and should not be characterized as evergreening,” according to the report. However, the report’s findings “indicate Sanofi filed 95% of its patents on Lantus after US Food and Drug Administration approval,” the release explains. “By overpatenting Lantus, Sanofi has successfully maintained a monopoly on the drug that allows for continued unchecked price hikes. Congress and the U.S. Patent Office have a responsibility to hold drugmakers responsible and rein in excessive patent monopolies that are preventing competitors from entering the market,” Tahir Amin, co-founder and co-executive director at I-MAK, said in the release. In contrast to the overpatenting of Lantus in the US, “I-MAK’s research shows that to date Sanofi has filed … fewer patent applications in Europe and Japan,” where “more friendly biosimilar regulatory requirements” and “multiple biosimilar competitors” have helped “to drive down prices and improve access to treatment,” according to the release. “I-MAK is calling for the U.S. Patent Office to hold an open hearing that allows patients and advocates to share the real impact of patenting on drug prices and access to medicine. Additionally, Congress should investigate the issue of overpatenting as a means to understanding and solving the drug pricing crisis,” it says. More information on I-MAK can be found here. "Report Finds “Overpatenting”, Overpricing Of Top Diabetes Drug In US" by Intellectual Property Watch is licensed under a Creative Commons Attribution-NonCommercial-ShareAlike 4.0 International License.